Cloud Nine now has an ETSY store! Everything is moving along beautifully. We have lots of appointments available this weekend and next week. Want to take a break from it all? Unplug? Relax? Rejuvenate? Stop hurting???? Try a float at Cloud Nine Flotation. It’s been an amazing week here at Cloud Nine Flotation in Tucson, AZ. Kevin Adger from KOLD and Fox 11 interviewed Kalyn Wolf and floated in the Oasis Relaxation tank. Jim Springer of Creative Play and Podcast also came by and made us a beautiful Introductory Video. We have also taken on a new artist here at Cloud Nine. Our walls will soon be filled with Fractal Art. Stay Tuned about that. Cloud Nine to be Featured on KOLD & Fox on Monday! I’m so excited to announce that Cloud Nine will be visited by a news crew on Monday morning and on the air at 5:30 and 6:30am on KOLD (CBS) and then at 7:30 and 8:30am on Fox local news! The foundation of the visit will be discussing Flotation Therapy for injury recovery. Every year around this time gyms and personal trainers find their calendars full with people who want to get in shape. Some of them have never worked out, and some haven’t worked out in years. Many of them will over exert themselves, get injured and then never go back. Kevin Adger from KOLD will have a full flotation session here and report on his experience. Two of our members will also be interviewed. I’m sure we’ll have a lot of fun and give viewers a lot of good information. So set your DVR’s to record for Monday morning! But there’s MORE….. Check in tomorrow for more news. Cloud Nine Flotation Online Retail Store Now Open for EVERYONE! I’m SO Thrilled to announce that the Cloud Nine Flotation Online Store is now open and ready to ship or pick up. We have 4 different lines of products and plan on adding a 5th soon. Stayed tuned for some AMAZING Fractal Art. Also, I am facilitating salt tastings. WHAT?! What is a salt tasting? Think wine tasting, but with salt. I’ll talk about Flotation Therapy, and have samples of 16 different Gourmet Kitchen salts, along with 12 or more Bath and Shower salts to delight your senses. We’ll talk about how to pair your salt with food for a very yummy and healthy taste experience. Salt is the stuff life is made from. We NEED salt. So why not have all natural, hand made salt? You can visit the online store at www.floattucson.com/store If you live in Tucson, it’s not too late to shop for Christmas. The NEW Oasis tank at Cloud Nine Flotation is complete with transducers. A transducer is a speaker that sends the sound waves through water. It feels like your entire body is being imbued in music. This new tank has 6 inches of insulation all around you. It’s dimensions are 4.5 feet by 7.5 feet. It’s a completely different experience from the Zen Tent we used to have. Also, gift certificates available for 20% off for the month of Dec.
* Discounts will not be accepted for the Dark Side of the Moon float. However if you have a package you may use a float credit. Did you know, that Pregnant Women can Float? If you are past your 1st trimester, and you have your doctor or midwife’s permission to submerge in water, floating will astound you. Not only are YOU floating, but your baby is floating as well. You probably know that after 16 weeks it may not be safe to lie on your back when you are pregnant because it can cut the blood flow to your baby. But you can lie on your back in a Flotation Tank because you you are free of gravity, and your blood flow increases. Check out this video from The Morning Blend in Tucson, AZ with Judith Schuler, the author of “Your Pregnancy Book”. Cloud Nine has Gift Certificates too. Have a pregnant woman in your life? This is a gift she’ll remember forever. Navy Seals and the Ohio Buckeyes Float…do you? 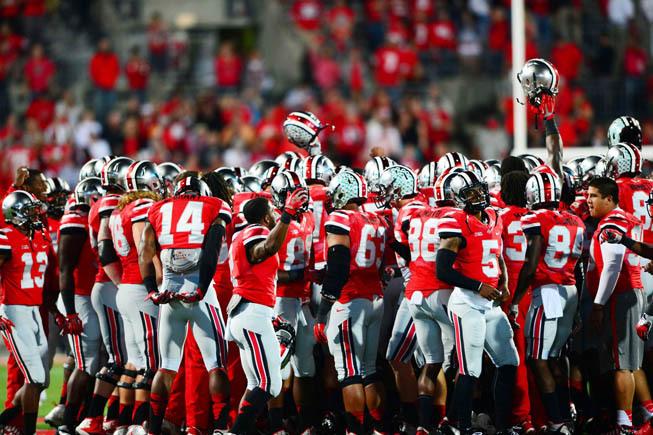 Ohio Buckeyes Float on ESPN In an interview with Ohio Buckeyes strength guru Micky Marotti on Nov 19, 2015, ESPN INSIDE THE PROGRAM: Ohio State reported that the Navy Seals turned Marotti onto floating. 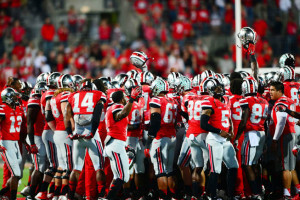 The SEALS have been using it in their training for their recovery, and now so are the Buckeyes! All due respect to Marotti, he is mistaken on a couple of points. 1. It’s 900 pounds of salt not 90, and 2. His players may sleep, but more likely they relax and allow the epsom salt rich environment to heal their battered bodies, while the dark and quiet gives their minds a rest from the outside pressures of the world. SOMEBODY QUICK! Tell the Wildcats they too can float! You don’t have to be a Navy Seal or Football player to experience floating, and now it’s available in Tucson at Cloud Nine Flotation. Book your session today at www.FloatTucson.com, Book Now! Floating at Cloud Nine Flotation Is REALLY Getting away from it all. Cloud Nine Flotation announces BLACK FRIDAY WEEKEND SPECIALS starting NOW! Get away from the Chaos of consumerism. Get away from it ALL and float your way to peace and relaxation. Book time from Friday Nov 27- Sunday Nov 29 and get a 60 minute float for only $39 and a 90 minute float for only $55. This special is available to everyone, even if you have floated before. Gift certificates also available for the same price on Black Friday only. More specials will be available on Small Business Sunday and Cyber Monday. “like” Cloud Nine Flotation on Facebook for all the latest updates. Book today by calling 520-668-4017 or going directly to the website www.FloatTucson.com, click on BOOK NOW! and use the promo code BF21off for the 60 min or BF55off for the 90 min float. Limit 1 discount per customer. 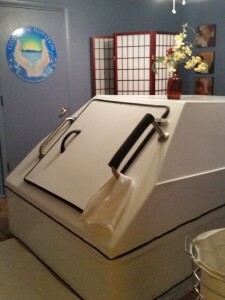 Floating in a flotation tank has been around for over 40 years but many people are just now finding out about it. Those of us in the industry for years, like me, are tickled by all the attention we are getting now. 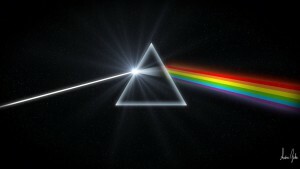 Time Magazine just published this article about the affects of floating on people with Mental Health issues. I hope you enjoy it. Cloud Nine Flotation welcomes our newest arrival. We have upgraded our tank to an Oasis Relaxation System Tank. Oasis has been making Flotation Tanks for over 32 years. Here is was THEY have to say about their tank. I say….THIS TANK IS FREAKIN’ AMAZING!!!! If you have floated before at Cloud Nine, and enjoyed the Zen Tent, WAIT till you experience the Oasis! Through Dec 15, Cloud Nine will be offering $10 off a single float in the new tank to existing clients. We also have plans to expand to a 2nd tank soon. So stay tuned. It’s pretty exciting around here.